Tournament season is in full swing. 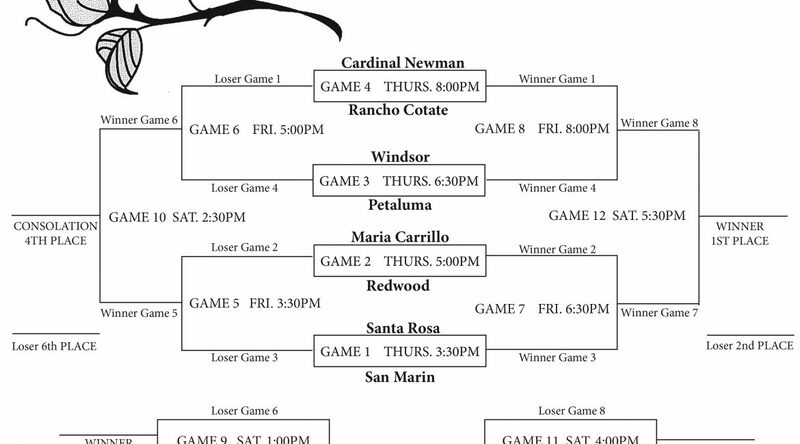 The Rose City Tournament is one of the best in Sonoma County and this year it has the deepest field in a while. The Trojans are young and off to a slow start. 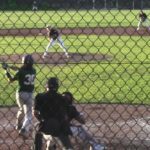 They showed signs of improvement Tuesday, as they had a lead on Montgomery late in the third quarter, but ultimately lost 53-43. Their only win was a loss they aveneged to Maria Carrillo. Esteban Bermudez has been the best player for the Trojans, while getting contributions from Sam Brown, Zack Clark, and Kenny Alexander. The Jags are 5-1 on the year, highlighted with a win over rival Healdsburg 68-65. They did play Petaluma in the foundation game, with the Jaguars getting a 71-66 win. Jordan Merical had 28 points, hitting shots from NBA range. Him and Christian Jernigan have been key players that has Windsor off to their hot start. Newman is also off to a good start at 4-1. They participated in the Russ Peterich Classic, and finished 3rd. Their only loss was to Campolindo. They defeated Montgomery in the third place game. Nathan Capurro is back for Newman. Mason Freish, and Bradley Slender will also be a big part of the Cardinal’s success this weekend. The Cougars are off to a slow start as well. They went to the Herb Jergentz classic in Chico last weekend. Their only win of the tournament, and the season came over Gridley, 75-61. Connor Barbato and Derrick O’Gorman are the Cougars’ best players and will need to be at the top of their game if they are going to turn their season around. The Pumas competed in the Fred Iten Tournament this past weekend. They opened with losses to San Lorenzo and Petaluma, but came back to defeat Eureka 52-50 in the 7th place game. The Pumas can shoot the ball and shoot it well. Austin Ehrlicher has been one of the best sharpshooters in the area, and he will have to be if they have a chance to beat the currently number one ranked team in the NCS D2 Redwood, according to MaxPreps. The Giants have already started MCAL play and are 1-1 in league play. Their loss came to probable league champion Branson 43-35. They are 3-1 overall. Their most recent win was a good one, over Piedmont. Brandon Radu is averaging 15 points per game along with Chance Farrell Martin giving them six points per game. The Panthers went to the San Rafael tournament. 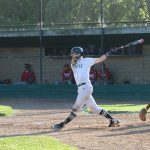 They had wins over Acalanes and and host San Rafael, but they lost to San Marin by five. They also have a good win over VVAL foe Napa. Madison Lott has his team at 3-1 heading into the Rose City Tournament. Jalen Prince is averaging 16 points a game and Grant Goodwin is averaging 15.8 points per game. Pat Fahy has done a good job with the transition with the Mustangs. He has his team at 4-2 on the year. 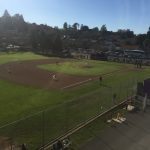 They went to the San Rafael tournament last weekend and took home wins over Santa Rosa and San Domenico. 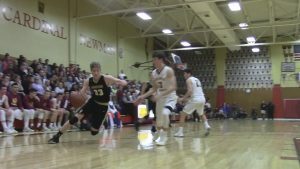 The two brothers for the Mustangs Dexter Geraci, the senior and Tyson Geraci, the sophomore have been the leading scorers. Dexter has averaged 17 points a game, with Tyson averaging 15 points per game.